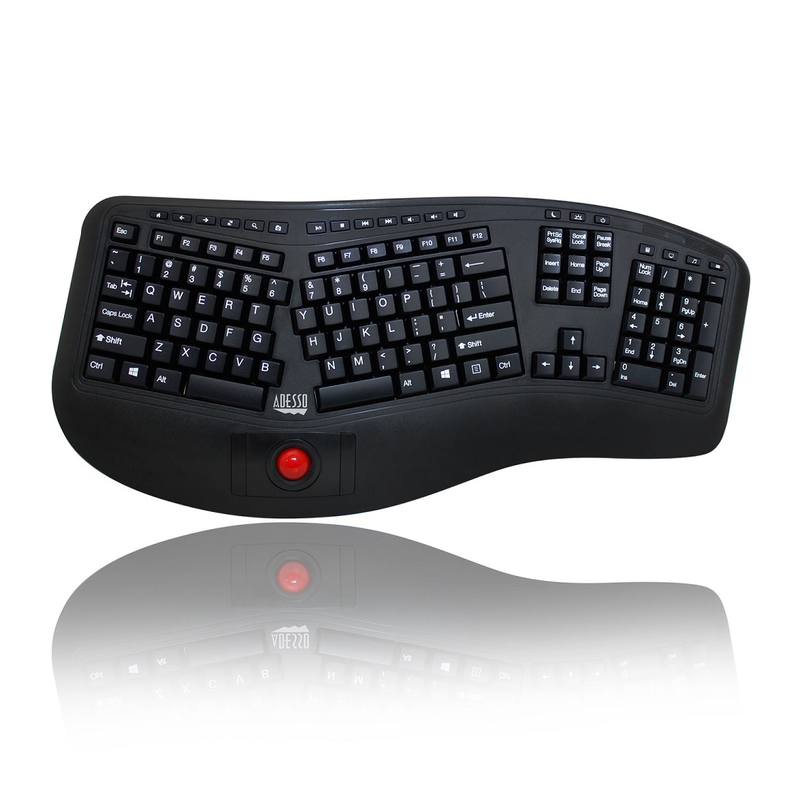 The Adesso Tru-Form Media 3500 2.4 GHz Wireless Ergonomic Trackball Keyboard is designed with a wireless range up to 30 feet and split key zones with a gently sloped shape optimized for natural positioning of hands, wrist, and forearms for maximum comfort and extended use. 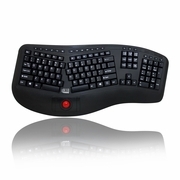 The keyboard also features an integrated trackball which can take the place of your mouse, making it easier to control the movement of the cursor. With multi-functional Hotkeys, you get quick access to your media controls, email, Internet browser and other common applications. The Adesso Tru-Form Media 3500 is designed with membrane key switches that provide a quieter, faster response and stand up to long term usage.